Fractured, underfunded, unknown, immature, reactive and uncertain are some key words often associated with describing the current state of AR in the enterprise. These sentiments can go hand-in-hand with the state of security in the enterprise noted as progressing slowly or being in pilot phases. Although hardware and software for delivering better AR experiences in the enterprise are continually improving, businesses worldwide cite insufficient ROI, lack of budget and security concerns as top barriers to adopting AR. There is still work to be done in introducing AR technology and policies for security and privacy. There is also unfinished work in building trusted networks that raise the confidence level of IT security management. 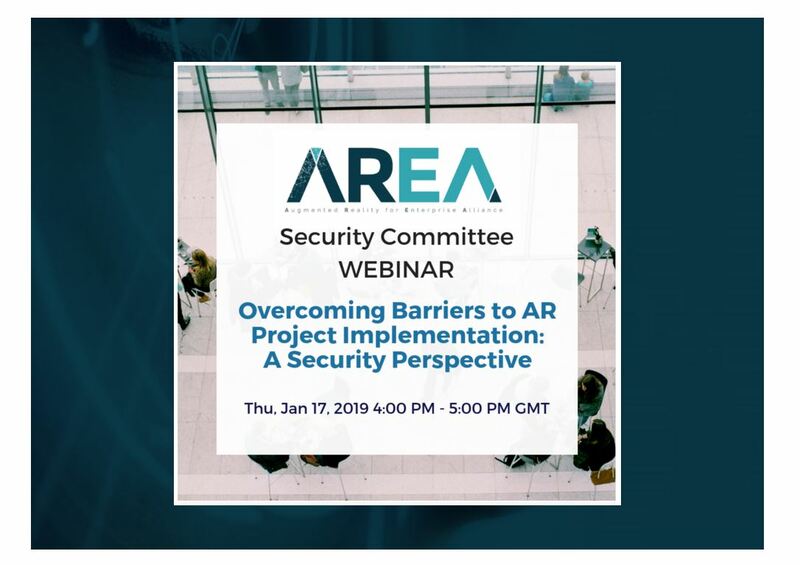 Our final webinar in the series we will discuss how we can address the barriers to getting AR projects launched beyond pilots and how we move them to being scalable and sustainable?